While the New York city suffers the coldest Valentine’s Day in 100 years, as East Coast is hit with a record-low wind chill of -36 °F (-37.77 °C), the Whiteface Mountain reached -114 °F (-81.11 °C) wind chill at its summit. And it was even colder than the windchill in Antarctica. 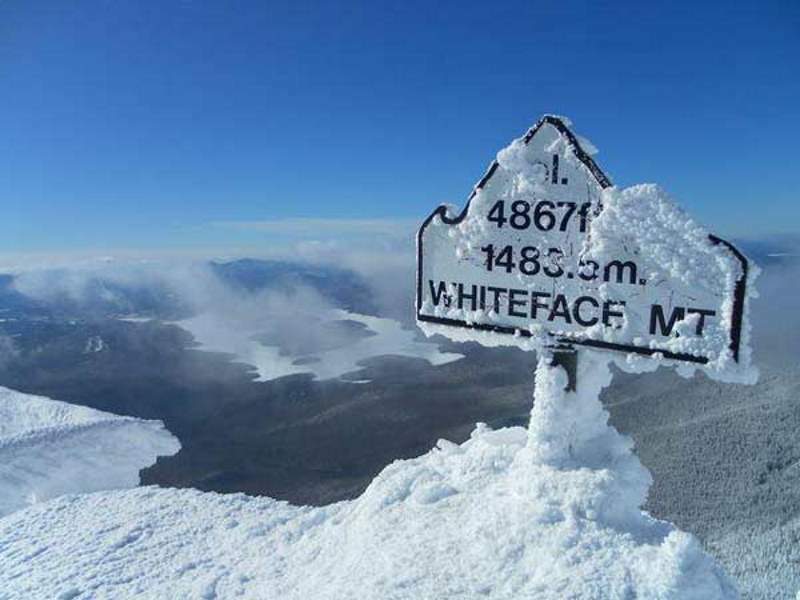 Whiteface Mountain is the fifth-highest mountain in the U.S. state of New York. On Saturday night (February 13-14, 2016), the Arctic winds blew at 45 mph (72.4205 km/h) at the summit, and according to the U.S. National Weather Service, it was actually colder than Antarctica on Sunday. It’s probably one of the lowest temperatures ever recorded outside of the poles of Earth. The lowest recorded temperature on Earth was -89.2 °C (-128 °F) on July 21, 1983 (during the Antarctic winter) at the Vostok Station in Antarctica. In January, the coldest month, the temperature averages about -36° C (about -33° F) and can drop as low as -60° C (-76° F) at the summit of Mount Everest. In July, the warmest month, the average summit temperature is -19° C (-2° F). At no time of the year does the temperature on the summit rise above freezing. About 60 years ago, I accompanied my parents and a bus full of R.I.T. college students on a ski trip to Whiteface Mtn. Ski Center. This was when that Center was off of the Whiteface Mtn. Highway on another side of the mountain from the present ski area. The ski area also included about 4 trails, a small warming hut, and 2 rope tows at the TOP of Whiteface. In the mornings, a few hardy skiers would be taken up the highway in a van or some sort and dropped off at the hairpin turn just below today’s summit parking lot. A short trail led to the top of one of the trails served by those two rope tows. IT WAS COLD UP THERE. The trees looked like frosted signposts on a somewhat surreal white landscape. The ski trails were fairly narrow, steep, and dangerous, but we had a great time. At the end of the day, another trail exited the warming hut and rope tows’ start and took you to the highway. From there, it was about 4+ miles of zooming downward on an icy surface. I remember that the only way to slow down was to squat and drag my bottom! I wonder how many other people are still alive and remember this experience. Hi, there, Oh Insane One. I was actually on a search for other places that had experienced 114Fahrenheit … silly me, I should have anticipated it would be minus 114. Chortling semi-hysterically, Simmo.